Image | This entry was posted in Watercolour feelings - Acuarela sentimentala and tagged Acquarello, Acuarela, Aquarell, Aquarella Sentimentala, Coastal Watercolor Landscape, Fine Art, Ireland, Irish Landscape, Watercolor landscape, Watercolor painting. Bookmark the permalink. 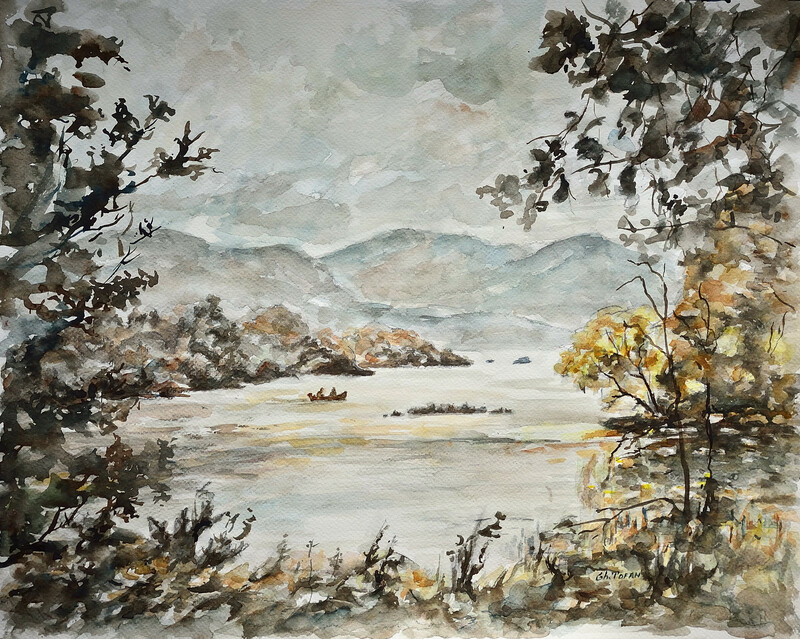 I traveled to Ireland last March and your painting brought me right back to Killarney and Muckross Abbey. Beautiful work!